Dr. Lisa Hagel, Superintendent of the Genesee Intermediate School District, has served more than 30 years in public education, including as a local district superintendent, elementary school principal and teacher, high school principal and curriculum director. Dr. Hagel has served in her current role since 2010. 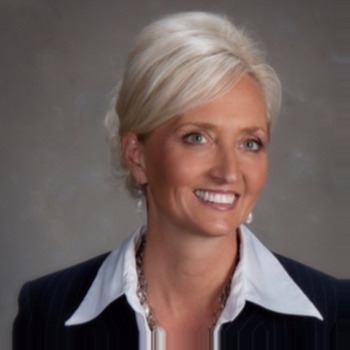 She is Past President of the Michigan Association of Intermediate School Districts Board of Directors, and was previously President of the Genesee County Superintendents Association. Dr. Hagel also previously served as Chair of the GenNET Governing Board, a consortium of Genesee County’s 21 public school districts and the intermediate district that provides state-of-the-art voice, video and data resources to all member districts. Dr. Hagel is a recipient of the Justus Prentice Award for being named National ISD Superintendent of the Year. In 2015, she was inducted into the Greater Flint Area Women’s Hall of Fame. Dr. Hagel serves on several local boards, including the Greater Flint Health Coalition, Flint Cultural Corporation Board, Genesee County Education Foundation, Genesys Healthcare System and the Mott Middle College Advisory Board. She volunteers with numerous community organizations, including Special Olympics, Big Brothers Big Sisters and Toys for Tots, and has coached several local sports teams. Dr. Hagel holds multiple degrees from Central Michigan University, the University of Michigan and Eastern Michigan University. She earned her doctorate degree from Walden University.